Find the perfect comfort for your home. Shouldn't your home offer an ideal setting for year-round indoor comfort, surrounding you with consistent warmth, refreshing coolness, ideal humidity and clean, filtered air? Of course it should, and Airtemp cooling and heating products are the logical choice when it comes to providing efficient and affordable peace-of-mind home comfort. Born in 1934, Airtemp brand products took a leadership position during the formative years of air conditioning. Over time, Airtemp became well known for its manufacture of reliable residential air conditioning and furnaces, large-scale commercial air conditioning and commercial refrigeration equipment. Today, Airtemp indoor comfort systems are produced using best of its kind technology processes during assembly, testing, safety assessment and quality control. On every product that proudly bears the Airtemp name, confidence comes standard. Every Airtemp product is triple-checked at each step of the manufacturing process and followed by 100% computer-automated testing. The result is an offering of some the best consumer warranties available in the cooling and heating industry. Rock-solid warranty coverage to protect your investment. When you choose Airtemp for your home comfort, your system comes with one of the best warranties in the business - 10 years on all parts. Timely registration is required. See Warranty Page for more information. Outstanding Airtemp products are worthy of outstanding protection. Should major component failure ever occur within the first year of operation, we will replace the product. Timely registration is required. See Warranty Page for more information. 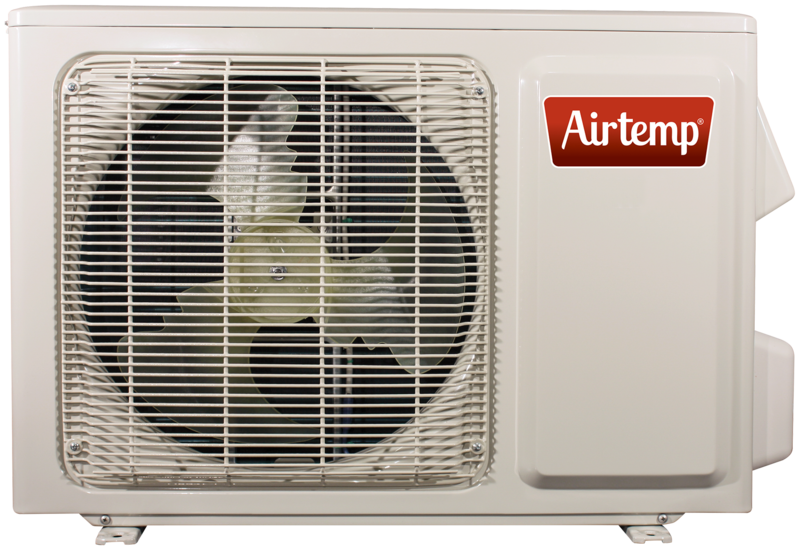 Airtemp ductless mini-splits are designed for single or multiple room applications where traditional duct work is either not possible, or unsightly. Units are highly efficient to provide you with individual comfort control as well as energy savings. All units come with variable speed indoor blowers for enhanced efficiency and wireless remote controls for easy comfort control. 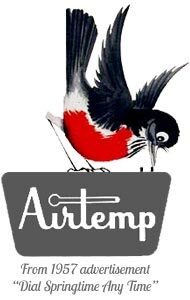 The Airtemp brand is the result of the air conditioning system designed for the Art Deco style Chrysler building in New York City. When completed in 1930, the skyscraper was the world's tallest building. Four years later, with their acquired climate conditioning expertise, Airtemp Corporation was born. Over the decades that followed, Airtemp cooling and heating products earned a justifiable position of industry leadership. Today’s Airtemp indoor comfort systems are designed, assembled and repeatedly and thoroughly tested in North America. Using only reliable components and proven technology, is build quality into the products at every step of the manufacturing process. We take pride in the systems that bear the Airtemp brand knowing that families across the country will depend on their products for the comfort and safety of their home while providing long-term energy savings.